Content pieces can take a huge amount of time to create, but will fail to make the impact they deserve without the right efforts being put into promoting them. Good promotion takes time, effort and creativity, and can exponentially increase the engagements, links and shares that your content generates. 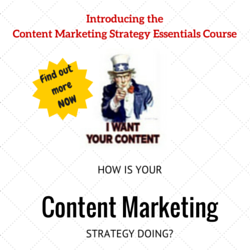 Fail to invest in this crucial step and your content could flop. 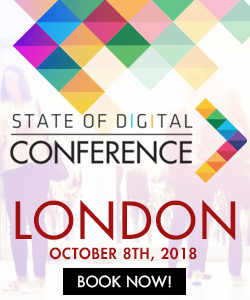 As I remember Stacey Macnaught saying in the first BrightonSEO talk I attended, “even brilliance can go unnoticed” if it’s not properly promoted on the internet. To help you bring your hard work to the attention of as many potential customers as you can, here I’ve listed 5 promotion methods which I found effective after producing large content pieces. To demonstrate some realistic uses of my suggested techniques, I’ll explain how each one could be used with reference to a (ridiculous) imaginary case study. 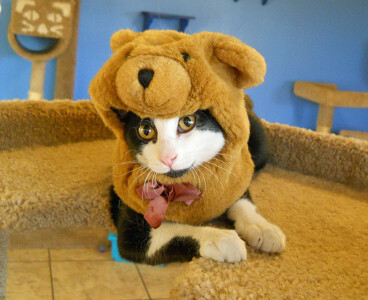 Our client has produced a revolutionary brand of cat clothing. In order to flag this clothing up to feline-fashonistas everywhere, we’ve spent days creating a comprehensive history of cat clothing trends. Covering everything from the origins of cat fashion, to the latest in cats’ hats and emerging trends like breading, we’re desperate to get this piece to the cat-lovers who will want to buy our client’s product. For us as marketers, forums are amazing. All we have to do is identify one with a pre-determined topic and we’ll have direct access to an audience with a guaranteed interest in what we’re talking about. Similarly, joining and posting in relevant Facebook groups can aid significantly in our content promotion. The key here is to keep it relevant. Posting your creation in unnecessary places, or too frequently is more likely to annoy than engage people, and could do more harm than good for your efforts. When we’re introducing the world to our History of Cat Fashion, we’ll have a whole host of Cat Forums to make use of. We know that everyone using these will be far more likely to engage with and share our cat history than the general population. We’ll also suggest to anyone invested in our piece that they post links from their own accounts, as they’re likely to have shared more previously, ergo generating more respect within these groups. If you’ve spent days on days creating your content, it is certainly worth taking a couple more hours to create pieces which can link to, bring attention to and complement it. Often, whist your content may deliver in terms of detail and expertise, it might not have that “click me” factor that shorter, more interactive pieces could. Whether it’s building a survey, creating a quiz or producing a blog post or infographic to demonstrate your key findings, there are a whole host of ways that creating additional content can increase the reach of your original piece – just make sure you create a clear path directing the reader back to your main point of focus. So, our cat fashion history is live, and we’ve found out all sorts of amazing, sharable things about our furry friends. First off, we’ve featured a lady who dresses her cats for the weather, so are well suited to creating a complementary in-depth interview post to sit on our client’s blog. 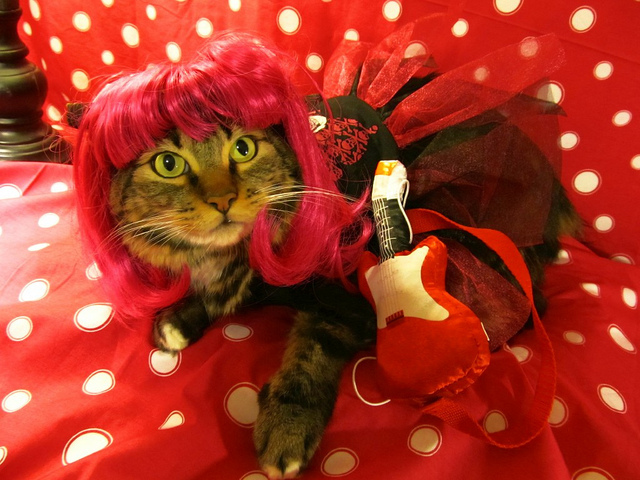 What’s more, we’ve heard some amazing quotes on how good clothes make cats feel, so a clickable title like “6 Reasons Cat Fashion Will Make Yours Feel Great” should perform well. Coming up with a quiz in which users have to determine the cat-fashion era of different outfits could be another great way to drive engagement, with share buttons on the “outcomes” page allowing our audience to disperse our content socially. A quick case in point: On the 27th of January, I came across an article on the BBC called “Is it better to run outside or on a treadmill?”. Half way down there was a link to “Trust Me I’m a Doctor”, a series the BBC are currently running, which is focused around healthy living. On this case, the BBC have clearly created a simple, attention-grabbing post which easily acts as a gateway towards the main series, and is likely to grab in those with an interest in fitness who are likely to watch the main program. The BBC’s “what’s the easy way to get healthier” slideshow works in exactly the same way, again linking to “Trust me I’m a Doctor”. When someone’s made the effort to contribute to your content, the chances are that they’ll have some interest in seeing it do well. With this in mind, it really is worth encouraging everyone who’s had a say to publicise your content. In order to show them you value their input – and help your content to get indexed fast – let them see it before you start other forms of publicising. Also, if you’ve used someone’s images (and credited them), let them know, they’ll be glad to show that their work’s been picked up by professionals. Finally, if you’ve cited the work of others in your piece, make sure that you let them know, there is a great chance they’ll want to share it with people in their circles. So, back to the cat content (sorry). We’ve carried out a full-length interview with cat historian Felix Purr, and will be sure to let him know that we’ve given his opinions a good weight within our story. As the piece presents him as a top authority on four-legged matters, we know he’ll do his bit in sharing the story. What’s more, we’ve used the Flickr user iheartcats99’s image. He’ll be delighted to tell his friends that his Creative Commons licensed work’s been published online. If we’re unable to find a contact detail for any photographers we’ve used, commenting on the image itself is a good way to bring attention to our content. Journalists are there to tell stories, and their massive use of press release materials shows that they really have no problem picking up on a pre-packaged piece. With this in mind, there emerges a huge opportunity for any content piece to become the fuel for a news item, providing that it has some element that can feasibly be turned into a story. The key to this is selecting the right outlets. When we at theMediaFlow outreach any client content, we approach this role from two angles. Firstly we contact the specific, industry-focused news agencies, then offer something to the more difficult to reach – but more potentially profitable – national or international press. We’ll also keep an eye out for bloggers who may have an interest in any topics we’ve covered. Our cat feature has pulled out some really fascinating insights, and first off, we know that sending off an email to all of the cat press is a must. We can be sure that at least one of them will share our research on the cat-punk 70s’s look. As for the more influential papers, we need a different angle. 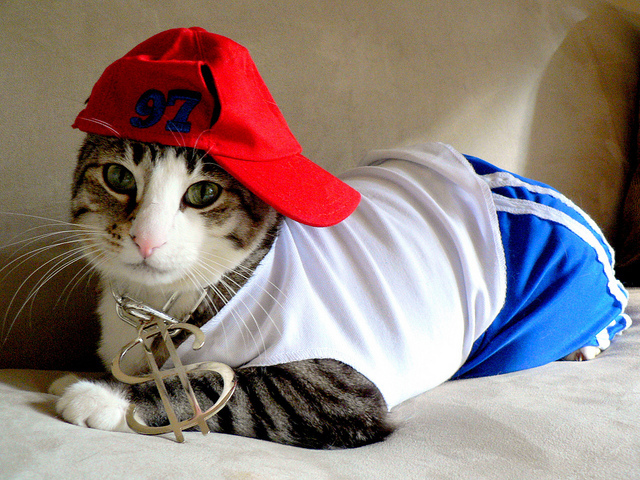 Luckily, we think that there’s a link between how we dress our cats and how we dress our children. A story like this is gold dust, and has a far wider potential reach. Pitching an idea like this to a few select outlets is our best chance of garnering a good link. If you’ve worked hard to put a piece of content together, it really does deserve more than a couple of quick tweets. Ensure that you schedule any social promotion regularly, on different platforms, and with a fair bit of variety in how you present the content. When tweeting, not only should you make sure that you pick up on the most active hashtags relating to your chosen area, but make sure that you “@” any active twitter users who are referenced in your posts, as they’ll be likely to re-tweet it and amplify the attention it gets. A well thought out series of Facebook, LinkedIn and YouTube posts will do your content a lot of good too, and if you have access to an Instagram account, creating a few custom share images with links in their description will earn you a few more vital engagements. As you can imagine, there are literally hundreds of cat-related pages plastered over social media platforms. Spreading our cat history across each of these mediums is very likely to attract a few more interested viewers. Combine these 5 promotion techniques and you’ll see your content reaching wider audiences, whilst ensuring that you target people who have a genuine interest in your material. Plan your promotion technique early, invest a decent amount of time in it, and you’ll give yourself the best possible chance of delivering customers to your client.